What is the Mequoda Method? If you’ve attended any of our events, or just read our blog regularly, you know that we live and breathe the Mequoda Method. Mequoda didn’t invent this method, we’ve simply been watching the publishing industry for a very long time and have organized the successful strategies of publishers who have developed it by instinct. We’ve turned these strategies into a finely-tuned system that we teach at our events and build for our publishing clients. We have more than 50 live websites using the Mequoda System that we monitor, and are aware of dozens more that use all or some of our best practices. We also run our own Mequoda System, even though we’re consultants selling services, not publishers selling information products. We see all four as discreet strategies that are all completely interlocked. Starting from the layer with the most visibility, we attract website visitors through search, then, a smaller number of those who we attract will convert into email subscribers. We will then engage a smaller number of those converted subscribers with great content in order to keep them happy, and then make money doing so by monetizing the relationship and turning those engaged email subscribers into buyers. This is the smallest number of people, however, is fueled by the layers before it. We first published an introduction to the Mequoda Method in 2006 and we’ve expanded and contracted the number of strategies, but these four principles (attract, convert, engage, monetize) have stayed consistent throughout. Just as you need to constantly review and revaluate your media empire’s business model, we continually revisit the Mequoda Method and build Systems accordingly. Don’t sit out the digital publishing revolution because you think it’s beyond you. 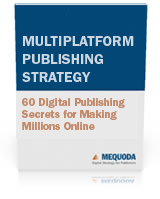 Download a FREE copy of Multiplatform Publishing Strategy: 60 Digital Publishing Secrets for Making Millions Online and get started learning about putting the Mequoda Method to work. The following items are tagged mequoda method. 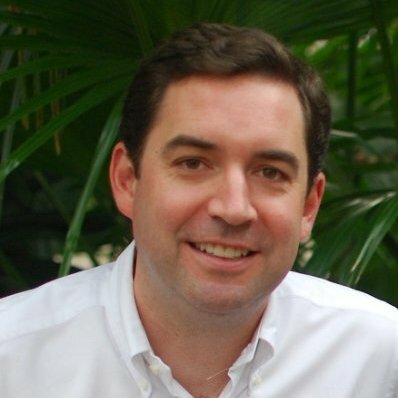 In our webcast series so far, we’ve covered all the basics of the Mequoda Method, including all the individual pillars of ACEM (Attract, Capture, Engage, Monetize). Today we’re talking about Publishers Using the Mequoda Method.